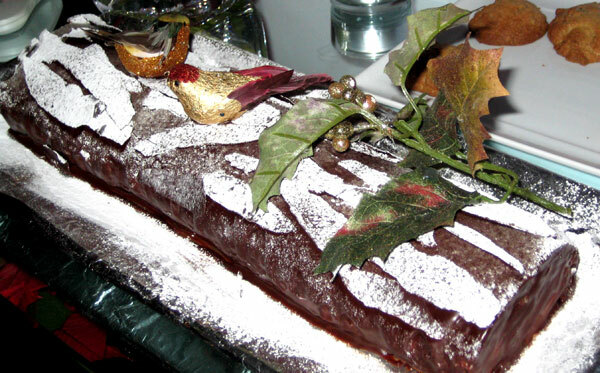 Two years ago I was lucky enough to get given the recipe from Joan’s on Third for the chocolate roulade – Joan wrote it for me on a napkin and then showed me how to make it – imagine a charade of how to roll a cake. Since then I have made up many of these cakes for different occasions – but most of all around Christmas I can’t seem to keep up with the demand. Today Rémy asked me to make one for his class party – it’s the last day of school – but he wanted me to add lots of mini candy canes – I suspect it’s the candy canes he’s after, not the cake. It’s the antithesis of the Christmas Cake I have made in a jar – which is dense and full of booze. Well actually this is very light and the booze is optional (but totally encouraged) in the whipped cream filling. 2. Whisk the egg whites until you get soft peaks. Add half the sugar and beat until you get stiff silky peaks. Set aside. 7. Transfer to a rack and cover with damp paper towels. Let stand for 5 minutes, remove towels and cool completely. Loosen edges with a knife. 8. Dust top of cake with cocoa powder and then cover with cloth. Invert onto cloth and removed parchment paper lining from the cake very gently. 9. Whisk cream with confectioners sugar, Remy Martin, and vanilla until it holds stiff peaks. 10. Spread cream over cake and using the cloth to help lift, roll the cake up. Transfer to a platter seam side down and dust generously with cocoa powder. The cake can then be decorated with ganache, chocolate ‘bark’ and birds (see below) or simply dusted with a little confectioners sugar for snow and whatever you feel in the mood for. Don’t you just love the deer in his boa for christmas topping the cake at the top of the post? I’m totally making this! It’s grain free! I’m thrilled. Thanks for sharing. Yes grain free and totally delicously organic – just for you ; ) Enjoy! 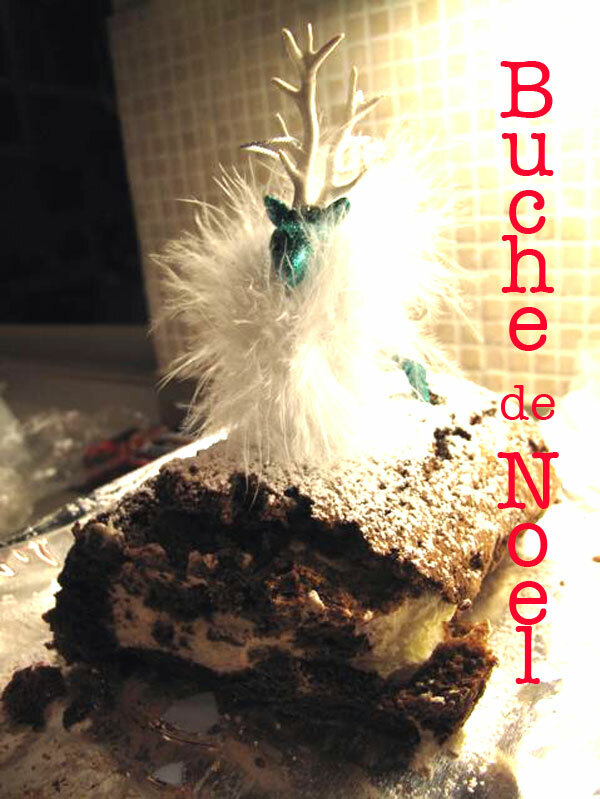 Such a gorgeous buche de noel! I love it! Chocolate upon chocolate greatness in this holiday cake. My kids would be after the candy too. Then they would certainly dive into the cake. I’ve never made one of these masterpieces but have heard about them for so long. Yours is just gorgeous!